Starting on Thurs. 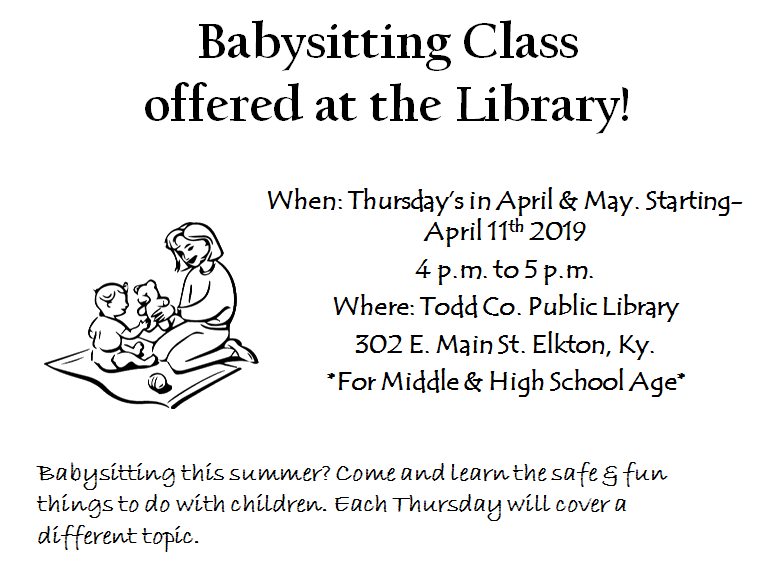 4-11 we will be having Babysitting classes for Middle and High school age. Each Thursday they will be learning about a different topic to keep children safe and happy when they babysit.